David Andrew Wiebe connects with Glasgow web and graphic designer Ross Barber. 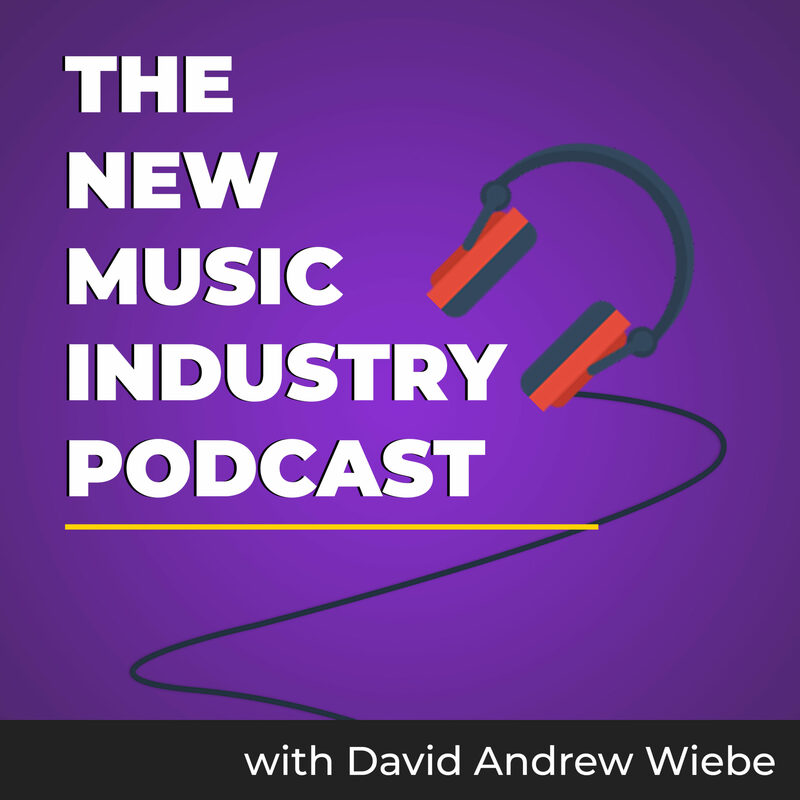 They chat about web design, building a website as a musician, communication etiquette in the music industry, writing a book, building an email list, social media, and much more. 02:10 Why did you get into web design for musicians? 06:48 Are you committed to building a professional online presence? 15:00 Why do musicians need a website? 29:36 Should you tailor your website design to your audience? 31:32 How difficult is it to manage expectations and timelines around design projects? 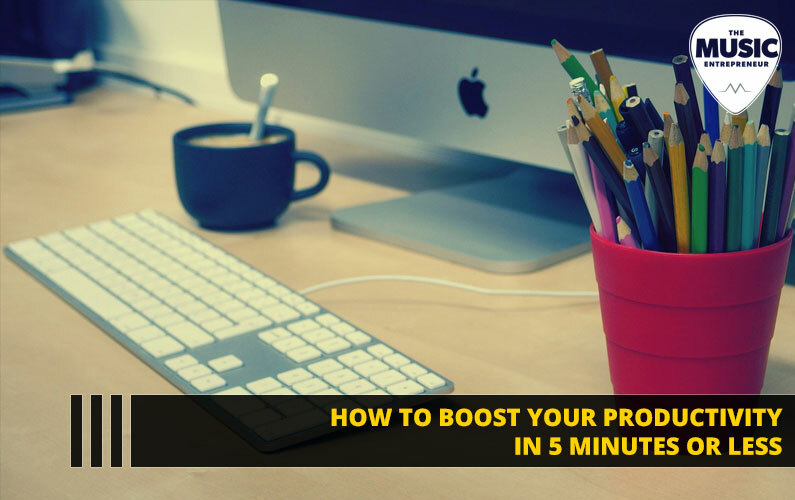 32:36 How do you keep new clients coming in? 36:44 What have you learned from co-hosting Bridge The Atlantic? 43:22 What have you learned from the guests you’ve had on your podcast? 48:33 What books have impacted you personally? 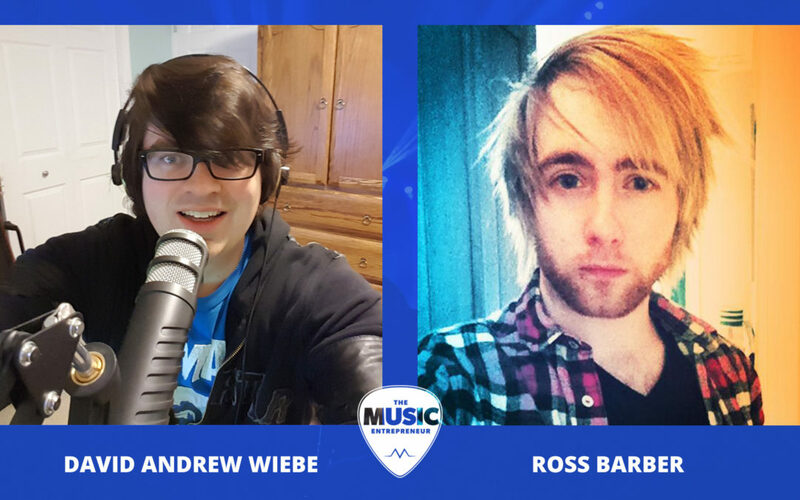 David: Today, I’m chatting with Ross Barber from Electric Kiwi and Bridge the Atlantic podcast. He’s a web and graphic designer based in Glasgow, U.K. How are you today, Ross? Ross: I’m doing good. How are you? David: Good. How are things over in U.K.? Ross: Very busy. Yeah, it’s just I’m working on a ton of things right now, which is all very exciting. But yeah, there’s not really a moment to breathe, so it’s nice that we’re doing a podcast interview where I’m forced to close down my email and stop working and just talk. So I appreciate you inviting me on the show. Thank you. David: Absolutely. Yeah, and I can appreciate that as well, because this has been a pretty crazy week for me. And it’s not every week that I’m forced to get up at the same time every day and then work till the same time every night. Ross: Yeah, I mean, I guess that’s one of the exciting things about being an entrepreneur and maybe, specifically, a music entrepreneur, is you can set your own times to do things. Ross: But it can be nice to have a set time that you start and a set time that you finish, because I know that if I don’t have those guidelines, I could probably just end up working like all day and into the night. And the next thing I realize is, “Oh, it’s 10:00, and I’ve not eaten yet,” which happens quite a lot, actually. David: Well, yeah, I think routine is actually hugely important. I wouldn’t necessarily want to do quite the crazy routine that I’ve been doing in the last couple of days, every single day, but having various income sources and different work and being in demand is a good thing. And there’s a lot of people struggling out there right now. So I consider it a pretty major blessing, you know? Ross: Yeah, definitely, definitely. I’d much rather be busy than not busy. David: Exactly. Well, I know that we’re just getting this chat underway, but I’m going to be the devil’s advocate just for a moment. You provide custom web design services for musicians, but musicians don’t have any money. So what were you thinking, man? Ross: Well, really, what I was thinking was I studied popular music at university, because I thought I wanted to be a musician. But I ended up kind of veering away from pursuing the performance as a career. And I’d been doing web design since I was like 12. I taught myself web design way back in the day. So I knew that I wanted to do something that involved music, and because I’d been doing websites, it kind of made sense to combine the two. 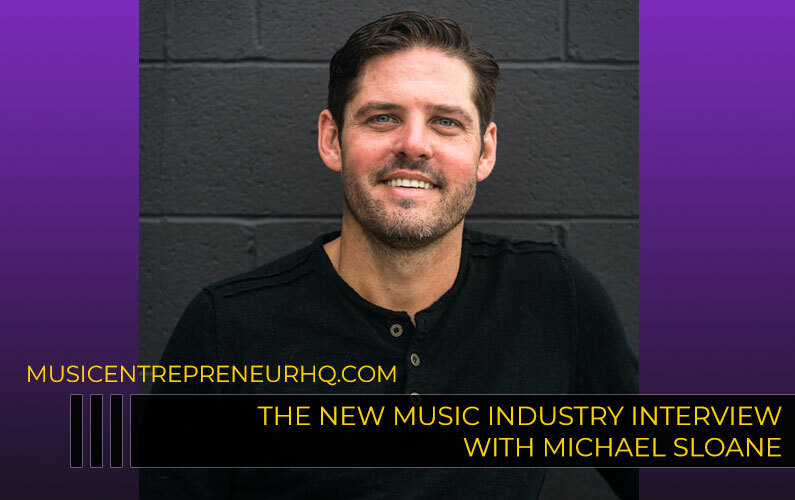 And you’re right, a lot of musicians don’t have money, but I’m finding that a lot of them do see the value in having a website, and more specifically, a custom website that really reflects what they’re doing musically in the online space. And I always say it’s more of an investment than anything else. Artists spend a lot of money recording their music, but they don’t necessarily spend the money on the promotion and the marketing side of things. And I feel that that is where a lot of artists go wrong, so I think investing in a really good website and something that looks great and works well is going to last you years. It’s not something that you pay for. and then six months later, you need something else. You pay for it, and it should last you two, three, four, five years or so before you need to make any major changes, depending on what’s going on with technology and so on. David: Right. Kind of like a decent laptop or a desktop computer, right, should last you a good three to four years, if you have the top of the line. Ross: Yeah, definitely. I always say it’s an investment more than anything. If you’re serious about what you’re doing and you want to book more shows, you want to sell more music, and you want to make the right first impression, then invest in yourself and get a website that really does all those things. David: Yeah, and of course, I’m just being cheeky in asking you, obviously, there’s some musicians that might not have quite the budget and probably need to view it in exactly the way you just described it, which is an investment rather than this massive expense that they somehow have to foot. But I’m guessing there’s also maybe other artists that are serious about their career, want to see their online presence polished so that they can really take their career to the next level. Ross: Yeah, absolutely. I mean, I come across all kinds. It’s kind of funny sometimes when you see really established artists, but their online presence doesn’t reflect that at all. Like if you hadn’t heard of them, you would think that they had done this themselves 10 years ago and that they were struggling, because it just doesn’t give that right impression. But then you do see some artists who are just starting out, and they’ve got amazing websites. And I think that that can project that image of success that the more established ones should be having. So yeah, I see all kinds. I speak to all kinds of artists, a lot who do see the value and some who need a bit convincing as to why it’s important to make that right first impression. David: Yeah. I had the opportunity to meet a known drummer. And he had a domain name, but it pointed directly to a ReverbNation page. He’s a professional session player, I guess, and his name is maybe not on any album. So maybe the necessity isn’t there quite as much. I would certainly argue that maybe having a good website would be better for his fans though. Ross: Definitely. I mean, I think you’ve got to think of your website as the online hub where everything about you lives. 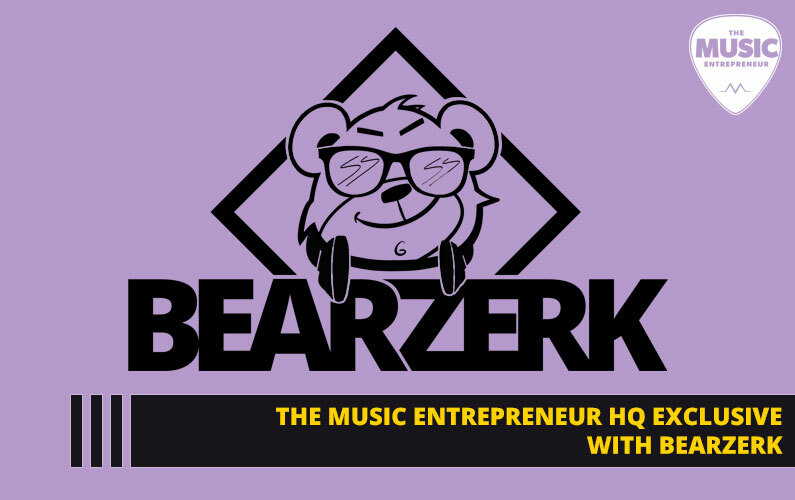 You know, there’s no problem linking out to your social platforms or ReverbNation or whatever it is you use more on like a day-to-day kind of basis. But I think you definitely need some sort of hub. And yeah, it always makes me sad when I see someone’s page with their domain name, and all it does is point to ReverbNation or Facebook. You know, come on. Have a bit more pride in what you do. Show that you are serious about what you do, and you want people to see that. Even just like a simple one-page site would be better than just forwarding on to another platform that you don’t actually own. David: Exactly. I couldn’t agree more. And there was actually another time where I was walking down the street, downtown Calgary, and I don’t know what was going on. There was some kind of event happening, and there was an artist that just kind of came up and was talking to everybody. So we were his targets, and we immediately got handed business cards. You know, I was listening to an interview that you did last night, but it was kind of what you said, like first of all, a “hello” would be nice, you know? I would love to meet you first before we talk business. But yeah. Second of all, I looked at his card, and it was social media sites. I don’t think there was any mention of a website on his card. So I don’t know how pro you are or think you are. I kind of wonder a little bit whether or not you’re a serious artist. Ross: Yeah, definitely. I mean, I think having the website and having your own domain, it kind of shows that level of commitment that you have, because anyone can set up their social media and pass that around. But I think actually buying the domain and having a website kind of shows you’re in it for the long haul, rather than you’re just someone that started, and you’re going to give up in two weeks. Obviously, I’m not saying that people that don’t have a website are doing that. I’m just saying that’s the impression that I get, and from the sounds of it, a lot of people get that kind of impression. It’s not as professional as maybe it should be. And a lot of the time, I want to reply like, “Well, one, hello would be nice. Two, you don’t know if I actually like the genre of music that you’re trying to get me to listen to.” And I just feel a little bit of conversation draws me, and it makes me want to check it out. Yeah, that’s a bad first impression, for sure. David: I do get like random press releases as well that are not really addressed to anyone in particular. Do you get that too? Ross: I get that. I get a “Dear sir or madam.” I get “To whomever this may concern,” I’m not actually sure if that’s even the right one, but either way, I get that. And for the podcast, we get emails. It’s like, “Oh, we’d love to be featured in your magazine,” well, it’s not a magazine. And we sometimes get them addressed the wrong name as well. She replied. She didn’t address the P.S. part, but that’s fine. I just felt like I needed to do something about this. Ross: Exactly, yeah. It’s obvious to me that she copied and pasted the email and sent it to a few people. But it’s those little details. Pay attention to the details. I actually have a one-minute sending delay on my email, because I am terrified of making that exact mistake of putting someone’s name wrong or spelling their name wrong or something like that. So I have it set to delay so that when I hit send, I go back into my drafts folder and check that I’ve put the right name and that I’ve spelled that right. Because it’s a fear I’ve got. David: Yeah, I get that. As an avid writer and editor of content, I still need to pause or look it over twice to make sure that what I’ve said is accurate and correct. So I think anybody else out there would want to as well. David: Yeah. I mean, I guess what that has me wondering is just if the majority of musicians just don’t know how to market themselves or if that’s just the vocal minority that’s reaching out with these random, non-customized press releases and messages. Ross: Yeah, it’s difficult to know whether it’s a lack of education or if they just don’t really care or think about it. I’d like to think it’s a lack of education, but at the same time, it’s kind of hard to give them that reason, because there’s so many resources out there and so many of them free as well. So I’ve given you guidelines on how to do things right and how not to do them. 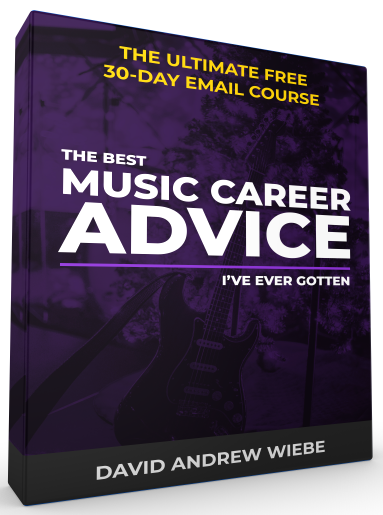 For example, this podcast is a resource which is teaching people what to do and what not to do in order to have a successful career in the music industry. But I feel like a lot of the time, the information is not…I don’t know. I just feel like they’re not getting the information somehow. And that’s something I think needs to change, because I think most musicians would like to be doing things “the right way,” and I don’t think it’s that they don’t care, because I think they do. I just think it’s not quite getting to them in the right way. David: Yeah, and I guess it’s maybe the same thing that some entrepreneurs experience, right? Either we’re looking to create some value for our audience, or we’re just looking for a way to make our next mortgage payment. And the difference is pretty apparent when that product or that service is released or that sales pitch is released. So yeah, I’m guessing it’s very much the same for some musicians. Maybe they just want the money now, and there just isn’t any instant gratification that way. Ross: Yeah, very possible. It’s hard to know for sure. But certainly, I work with musicians every day, and the musicians that I tend to work with are all very interested in learning and bettering the way that they do things, which is great. They are the kind of people that I want to be working with. So more of you, please. And I think a lot of musicians still have that old mindset. They’re going to get discovered by a label, and everything is going to be done for them. And okay, that happens sometimes, rarer as the days go on, so you do need to at least have a basic understanding of how to communicate with people. 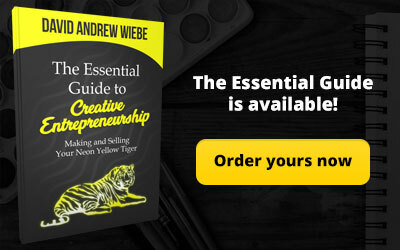 Because you’re going to need to do a lot of it yourself, initially, and until you’re at the point where you’re able to build your team and have people that are going to do that on your behalf. David: Yeah, I couldn’t agree more with that. People skills, right? And you don’t necessarily need to work on it really hard and become the best communicator in the world. You should just need to know the basic psychology behind interactions and what people respond to. Ross: Definitely. And at the end of the day, you just have to remember that the people that you’re speaking with are people, and just treat the way that you would want to be treated. That’s half the battle, really, is making sure that you’re communicating with people as people. David: Yeah, exactly. Let’s get back to this idea of having a website. What really is the significance of a website for a musician? How important is it to have one? Ross: I think it’s very important. I mean, obviously, as a designer who works with musicians, I’m going to say that. But yeah, I think it really acts as the main hub for everything that you do online, because one, you own it. You have control over that, whereas a social platform, you’re essentially renting the space there. They can change their terms and conditions. They can change it so you have to pay monthly. They can restrict how much content your fans see. Hello, Facebook. So it’s important that you have a space that you own that’s yours and you are in full control of, unless you forget to pay your hosting or your domain fees. Hopefully, you’re organized enough to keep on top of all that. That would be number one, is it’s yours. You own it. I think with a website as well, you can customize it so much more than you can a social platform. So it can really be a really good reflection of what you do musically in a visual way online. Those are kind of the main reasons I would say it’s important to have a site. And I think it just looks professional and gives off a good first impression, especially to venues or management or booking agents or anyone that you’re wanting to work with. It just shows that level of commitment and professionalism that I don’t think you can really get across on a Facebook page or a Twitter profile or anything like that. David: Exactly. I really like those points, and to some extent…I know not everyone is a content marketer out there. I’m a big proponent of that, creating content that serves your audience. But that can also be a big deal if you publish something that people really, really want to read or see or hear. That can drive traffic to your website, really, for eternity, in a sense, as long as your domain doesn’t expire, or your hosting doesn’t expire. So that’s another thing that, for some artists, could be a major advantage. Ross: Definitely, and I think one thing to remember, when you’re posting with social media, is always be trying to take people back to your website, because your website is where they can send out for your mailing list, and you can get their email address, which is one of the most important things. One of the most important pieces of data that you can get from anyone is their email address. You always want to be trying to send people back to your site. So if you have a new video out, for example, post that as blog post with a little story or paragraph just talking about the video or the song, and be sending people to that link on the site, rather than just a link to YouTube, because when they get to your site, chances are, if they like the video, they’re going to have a look around. They’re maybe going to find out more about you and learn more about who you are as an artist or a band. Then they might decide, “Oh, I’m going to see where you’re playing next,” and they’ll go to your shows page and see what you’re upcoming dates are. They might go to your merchant store page and then buy your album, or they might buy a shirt. You just don’t know, so I think you always need to be trying to send people back to where they can find everything, which is your website. David: I totally agree, but let’s step back for a second, just in case there’s anybody listening and wondering why they would want to collect emails. I’m an artist, why would I need an email list? Ross: Well, I was going to generalize it. I think we all remember the days of Myspace, but there will be people listening that are younger. They’re younger than us, which I feel sad to say, who won’t know what Myspace was. So basically, Myspace was where everyone was. Everyone was using Myspace. Think of it as Facebook like 15 years ago. And so many bands, musicians, built their audience on Myspace, and they didn’t build an audience anywhere else. And then people kind of left Myspace, and it became sort of an abandoned ghost town. Musicians found that they had no way of communicating with their fans, so they had no way of letting people know when they were playing, when they had new music out. And it was kind of a disaster for a lot of musicians, because they, essentially, had to start from scratch. So I think if people were using Myspace in conjunction with their website and were collecting email addresses on their website, sure, you wouldn’t have had everyone that was on Myspace, because not everyone would have given you their email address. But anyone that had given you their email address, you would at least still be able to keep in contact with them. And I think, with the way that social media is now, I know we all rely on Facebook and other platforms every day. But if you’re using Facebook regularly as a musician, you’ll notice that your reach is on the decline. But if you’ve got someone’s email address, you can email them an update. You know it will get into their inbox. Whether they read it or they do anything about it is a different story. But email still has the highest conversion rate and open rate. And competitively, it’s still number one, even if it feels a little bit like an outdated kind of technology because we’re using social. But it’s so important to be getting those email addresses, because it’s the only guaranteed way. Unless someone changes their email, you’re going to be able to get the information you want to get out to your fans reliably. David: Yeah, exactly. And it’s really just about the only form of direct communication that you have with your fans online. You can certainly communicate with them through social media, but your posts may not be seen. So your reach is definitely going to be less. Ross: Absolutely. And I think getting people on your email list is so important and one of the best ways to persuade people to sign up is to offer them something in exchange, whether that’s a free track…I’ve seen a lot of people lately giving away a whole free EP, which I think maybe is a little much. It obviously depends on how much you want to give. But I say a free track, even if it’s like a live or an acoustic version of a song or a couple of songs, that’s a pretty fair deal. And especially if it’s something that you weren’t going to sell anyway, that is something that just acts as a nice incentive for people to get onto your list, and can definitely make a big difference. I noticed that the artists I work with who give something in exchange for signing up definitely get a higher percentage of their visitors signing up to their list. David: Yeah, I think a lot of artists are maybe just scared, right? Like, “Okay. Our competition is all giving away one track. What could we do that’s bigger and better? Oh, an entire EP.” And pretty soon it will be an entire album. David: Yeah, I don’t think that’s…it doesn’t work that way, right? David: You don’t want to overwhelm your audience either. Ross: Yeah, you don’t want to give away too much. I think one thing is stop seeing other artists as direct competition. I think if someone wants to sign up to your mailing list because you’re giving away one track, they’re doing it because they want to hear that track. They’re not doing it because you’re giving away more or less than someone else. It’s more about how valuable that actual music itself is to them. So I wouldn’t worry about feeling that you have to give away five tracks. If you’re only comfortable giving away one track, only give away one track. Don’t give away tons just because other people are. David: Absolutely. Do you have any other list-building tips? I know that you do work on building your own list as well. Ross: I do. I have to admit, I’m not as good at it as I wish I was. Let me think, actually. I mean, this may be not so much in terms of building a list, but I would say when you’re sending newsletters out, you don’t want to be just selling all the time. I think it’s the same as when you’re posting on social media. If all you’re posting about is your upcoming shows and wanting people to buy your music, that’s boring. People are just going to tune out, and they’re just going to ignore your updates. Same goes with email. If all you’re doing is selling and asking for stuff, you’re probably going to end up with people unsubscribing. So I’d say I guess it does relate to building anyway, or the opposite of building. You want to be encouraging conversation, sharing stories and things that are going to be of interest to your audience, rather than just trying to sell them stuff and get more stuff from them. If they feel appreciated and valued and let into your circle, that is going to help you in the long term. So it’s always about thinking about the long term goal, rather than that one quick sale that you’re going to make. David: Yeah, this is something I do, and maybe it will help some of the listeners out there too. And I’m not saying that I have a perfect system by a long shot, but when I’m doing email campaigns, I basically have five different emails that I send out in rotation. Not the same emails, but my first email is a question. So I’ll pose a question to the audience asking them what they think about something. My second email will be a tip of some kind, something that I’ve found valuable. Third will be content, so something from the website, a blog post, a podcast episode, something that was really good recently that I want to share with them. Then the fourth email will be like a download or a guide, maybe a new eBook that I just released. I’ll let them know about that. And then the fifth email will be some kind of announcement. So really, out of five emails, there’s only one or two that are on the selling side. Everything else is just value interaction. Ross: Definitely. I think that’s the way that it should be, because I feel that people need to feel that they’re getting something out of it rather than just you’re getting something out of it. It’s all about that two-way street, I think. David: Awesome. Let’s talk design for a moment. Bottom line, depending on who you’re trying to appeal to, design, and we could even say branding, is hugely important and often needs to be tailored to the artist, individual, and really, our fans. So talk about that. Ross: Yeah. No, I definitely think it needs to all be done per artist, which is why I don’t like any sort of pre-existing themes, templates, all that stuff. I think everything should be custom to that particular artist. Because every artist is different, so why should their branding or their visuals look exactly like someone else’s? So for me, it always comes from the music and what they want to convey. So often, the way that I work, is I’ll listen to the music and think about what imagery it conjures up, what colors come up, if there’s anything…what tone of photography they might need, for example. All these kind of things I get from the music. And also, from just speaking to them, themselves, because I think more and more now, branding, it’s a lot of personal branding, even if we’re talking about music. The musician themselves, obviously, they’re a person, and they’ve got their own interests and things that they’re passionate about. And I think that has to come across, even if it’s just very subtly, in the branding. And I think a lot of that can be done through the photography and the visual side of things. So, for me, it’s all about getting to know who they are and hearing their music and just seeing what comes out and what works alongside the audio. David: Yeah. And that’s really abstract, but I like that. I dig the way that you’re going about crafting an image for them, listening to the music and then imagining what sort of imagery and colors come to mind. Very abstract, but artistic. Ross: Yeah, it’s kind of weird. I did some album artwork for a client, and he had a few ideas of what kind of thing he wanted to go for. And we were trying it, but I just wasn’t really feeling any of it was really working. And then I had a dream, and in my dream, it was the album artwork, which sounds really strange. I can remember it really vividly as to what was in my dream. But it’s just really weird, because it was almost the complete opposite of what he was describing initially. And I don’t know where it came from, but it did. And it’s not overly complicated or anything. It was just what came out. But I think going with your instincts is a really big thing. And I definitely find that more in the last odd year or so, I’m going with my instincts, design-wise, a lot more, even if it’s a little off, away from what we’ve discussed previously. And for the most part, it’s been working. So that would be some general advice, go with your instincts. David: Yeah. Well, in today’s very rational world, what you just mentioned might seem weird, but if you look back in history…and I’ve been learning a lot about Carl Jung and Wolfgang Pauli as of late, a lot of things to them also came in visions and dreams. And to somehow add some validation to their philosophies or ideas of how the world worked came from those dreams or visions that they had. So I can definitely appreciate that. Ross: Yeah, to me, it sounds kind of weird. But I feel if you’ve got an instinct, then just go with it. At least just try it, because you probably had that feeling for a reason. David: And one other weird thing about design that I wanted to touch on…I don’t know if you have any thoughts on this. We’ll say, for example, you’re an artist, and you appeal largely to maybe the 40 and up crowd. Sometimes, having a website with older design is almost more advantageous, because people are in that age range or may be more familiar with the way the web was in the late ’90s versus how websites look and function today. Ross: Yeah, I can see that point. I would say definitely pay attention to what kind of websites that they would be familiar with. So in terms of when you’re putting the navigation and stuff together, you want to make sure that that’s somewhere that they would expect to find it. A lot of people have the three-bar hamburger menu that you click, and it opens the full menu. I think that that is a very modern thing, and I think older people who are not as tech-savvy online in the same way that people that grew up within that have been will probably find that confusing. So I would say that’s probably something that you would avoid if you’re designing a site that’s geared towards an older audience. But I would say you probably still want it to be modern enough that it’s not going to turn off younger people that may still like the music, but yeah, definitely bear in mind who the target audience is, and go with something that they are going to be able to use and feel comfortable with. David: Yeah, I like that. I was actually in the business of web and graphic design for about nine years. It’s not something I talk about that much, I guess, on the podcast. So you and I have some things in common. But I probably wasn’t operating anywhere near your level. We just had a few clients per year, and we were somewhat profitable. But I have to say, there was a steep learning curve, for me, anyway, especially when it came to setting expectations and timelines around the completion of projects. Have you found the same thing? Ross: Yeah, definitely. I would say I’m still getting to grips, even though I’ve been doing it full time for around four years. Yeah, I feel like I’m still getting to grips with the pricing and timelines and all the business-y side of things, because I had no business experience prior to doing this full time. So yeah, there’s definitely a bit of a challenge. I really enjoy all the client-facing stuff. I love talking with clients and finding out what they like and what they don’t like and how we’re going to work together and make stuff really awesome. But yeah, when it comes to the more business aspects, the contracts and the financial side, still learning. I think I’m always going to be learning about that. David: Yeah. Another thing I’m curious about is how you generate business on an ongoing basis. How do you keep creating leads to find your next client? Ross: I would say in the early days, a lot of it was done through Twitter. I was getting most of my new clients through Twitter and also word of mouth. Now, it’s more so word of mouth referrals from other businesses. There are a couple PR agencies and artist management companies that I’ve done some work with, and they quite often will refer their clients to me, and I will recommend them where it’s relevant. I get quite a lot of people just finding me through other artist websites that I’ve done. So yeah, the main ways would be Twitter, word of mouth and other sites that I’ve done, generally. David: Well, the social media aspect definitely fascinates me. So how does one generate business through something like Twitter? Ross: It’s really just through having conversations with people. I never go on Twitter with the idea that I’m going to get a new client today. So I’m a big fan of Twitter lists, so a lot of times, what I’ll do when there’s someone that I find interesting musically, and I feel like I would like to work with them, I’ll add them to a Twitter list. And I’ll keep an eye on that list. So there will be maybe like a few hundred people on that list who I’m really interesting in keeping up-to-date with their career. And if we got to work together, that would be amazing. But it’s not the only goal. So I’ll go through that list, and I’ll like their tweets if I do genuinely like them, and I’ll have conversations with them. And sometimes, it gets to the point where we become really friendly, and then we’ll maybe become friends on Facebook. Or they’ll say, “Oh, I’ve got a couple of questions about design. Can I send you an email?” And they do. So it’s just really about staying on people’s radar and having conversations. That’s how I find that Twitter and Facebook, to an extent, have worked for me in building my client base. David: I can definitely attest to the power of Twitter lists. Ross: Yeah, definitely. I just think…sorry. David: I was just going to say, obviously, you want to do that from like a genuine place, not just do it because you can. Ross: Yeah, no, I definitely agree. I don’t like it when it feels like there’s some robotic element to being added to a list. But no, it definitely has to come from a genuine place. And I think, for me, Twitter lists just help me to keep everything organized, and they allow me to get the information that I want when I want it, rather than having to scroll through lots of tweets that might not really be that relevant. Yeah, it’s definitely helped me. David: Gotcha. Yeah, exactly. If you’re active on Twitter at all, you do just kind of arbitrarily get added to various lists. And sometimes, they’re cool, and sometimes, you just go, “Hmm. Why would they bother?” Just for the heck of it, I guess. David: Let’s talk a bit about Bridge the Atlantic. What are some things you’ve learned from running the podcast? It’s quite a bit of work to run it, isn’t it? Ross: Oh, yeah. It’s a lot more work than we anticipated. I co-host this with my friend Marcio, who is in Canada, so closer to you than he is to me, I believe. We met, actually, because he was looking for a website, so we had the whole client/business relationship going on. But we ended up getting along so well that we’d always just talk on Skype just because. And yeah, we just decided to start this show. And I think one of the big things I’ve learned from doing it is how powerful a networking tool it can be, because there’s been so many people that I’ve come into contact with, and mostly, again, through Twitter, that I’ve always wanted to have a conversation with. But I find that having a podcast, it gives you a reason to get in touch with these people and actually have a face-to-face conversation. There is a producer called Jesse Cannon. 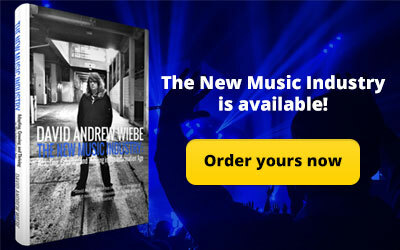 He has also written a really great music industry book called Get More Fans (get it on Amazon US or Amazon Canada). I always just wanted to have a conversation with him, because I felt we were on the same kind of wavelength. And the next week, I was talking with him. We were sharing stories, and he was sharing some really great business advice. And to this day, we still email back and forth a little bit. And then if we have any questions about stuff, like if I’ve got questions that are more related to production or management, I can ask him. He’s got questions about web design, he’ll ask me. So it’s great. So it’s been a really good way of building relationships with people that you probably wouldn’t have had a chance to jump on Skype with. So that’s been great. And yeah, I’d say from a networking standpoint, it’s been amazing. But you’re right, it’s a lot of work. David: Yeah, but I enjoy that aspect of it too, definitely connecting with people. I’ve had the chance to chat with both Marcio and Jesse on my previous podcast. This is my new podcast. But maybe I’ll have to have them back on the new show as well, once I have the opportunity, because I still respect all my guests and like the content that I created with my previous show. But it was just time to move on and try my hand at something a little bit different. Yeah, it was a really good tool for that, and a learning tool as well, because you can learn from the people who share their experiences. And I like that aspect of podcasting too. Ross: Yeah, absolutely. I just love that people can share their stories and share their experiences in a way that is entertaining, and we get to learn from them. Our listeners get to learn from them. Our audience get to meet new people, and their fans get to hear them talk in a way that a lot of people don’t really get to talk. 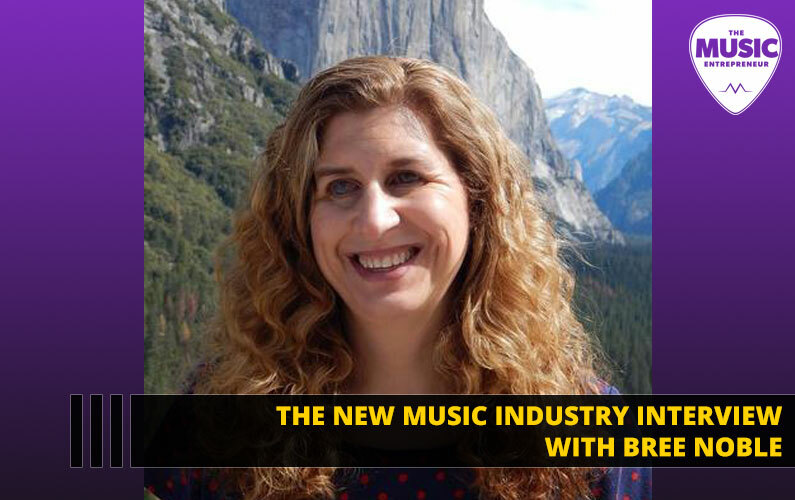 I think, especially when it comes to artists, everything tends to be, “Tell us about your new music. Tell us about your tour, and all this kind of stuff,” whereas we want to get to know them a little bit more on a more personal level and then also find out more about what their approach is to the music industry, especially if they’ve had particular success in a specific area. Maybe it’s like syncing licensing or maybe they’ve done a really great crowd-funding campaign. We want to find out about that. So their fans get to know them a little bit more on the personal level, but then other artists can learn from them on the more industry, business kind of level. David: And that’s similar to what I was saying to Marcio as well, because when I was researching before our interview, just looked at some of the videos that were out there. The TV show format of interview is just, “When is your next show? What’s your latest release?” Like a couple of quick questions, and then they just want you to play. So that doesn’t provide…I mean, it might be good press and everything. It just doesn’t provide an opportunity to share one’s story. So I think it’s awesome that you’re providing a forum for that. Ross: Thank you. Yeah, well, I’m definitely having a lot of fun with it. I mean, I know I say it’s a lot of work. But the fun, I think, definitely outweighs the work part of it. And people seem to be liking it. So yeah, I’m very grateful for that. David: Yeah, I think that the biggest thing that I noticed was I was doing monthly for a long time. I had fun with it, didn’t care that it was a lot of work. Because I feel like that would be a lot of stress, and we wouldn’t get the kind of quality that we’re looking for. So I think planning ahead has definitely helped us out. That’s something we learned quite early on, that we needed to have that kind of buffer in place. Otherwise, it would just be unmanageable, because we were both doing our own things. I’m running my design business, and Marcio is a full-time musician and dad. So he’s got a lot going on. So in order for us to do everything we needed to do, we had to be organized. And I think that organization helps in every aspect. David: Yeah, good tip. Every podcaster should definitely try to stay ahead. What are some valuable things that you learned from the guests you’ve had on Bridge the Atlantic? Is there anything that really strikes you as being particularly interesting? Ross: There’s one of our guests, and I can’t remember if she actually was talking about this on the show or if this was in our post-show chat. So I’m not going to mention who it was. But she was talking about how a lot of fans don’t realize how little money musicians sometimes make, and they may have a false idea of how financially successful they are based on some of the stuff they’ve done, whether they’ve been like a finalist on one of the reality shows like The Voice or American Idol. Or they may have this perceived image of success that isn’t actually real. And that struck me. We actually spoke probably for over an hour after the interview about all this stuff, and it just made me think, there needs to be a way for artists and fans to have a bit more of an open conversation and ways for artists to encourage their audience to support them in a way… they’re not begging for money, they’re not sounding desperate. But it’s putting all the facts out there and letting the fans see the reality of the situation. So because of that conversation and a blog post that I wrote, I decided that I was going to write a book geared towards how to build relationships with others in the industry and with your fans in a way that we can have a bit more of a transparent conversation and hopefully, generate more support all around. So I’m in the super, super early stages of the book. But that came about, really, by having that conversation with her. So that would be one of the big things that I’ve learned. To be honest, there’s been so much. In fact, at the time of recording this, we’ve done probably around 85 interviews. They’re not all released yet, but we’ve done so many. So it’s hard to think of specific bits of advice that come up, but there’s been a lot. I probably need to go back and have a look through some of the notes to really be reminded. But that was definitely a big one, personally, for me, because it made me think a lot about… I probably am guilty a little bit too, thinking that certain artists are really successful because they appear to be successful, whereas that may not be the reality. And I think if more of us knew more about the costs of everything that the artists have to pay out, it may make us more likely to actually go to their show instead of not going to their show, if that makes sense. David: No, I think that’s a really great story. I think I listened to your interview on the Nice Guys on Business podcast. At that point, you were still balking at the idea of a book, it seems like. Ross: Yeah, I know. Actually, that was before I decided to write a book. And it was actually after I had a conversation with Jesse Cannon on his podcast that it came out that I was going to write it, because I think that interview happened somewhere in between the Nice Guys interview and this interview I did on Jesse’s show. So yeah. Ross: Oh, I’m sure. You’re going to regret asking that, because I’m probably going to have a ton of questions. David: I’m happy to help. Ross: Cool. Yeah, I need to actually just write the thing first. So that’s task number one, is write it and then I’ll deal with all the stuff that needs to happen for it to actually become a real thing. But I’m excited about it. I’m excited. I still got work to do myself in figuring out the exact direction and all the points that I want to make. But I definitely am feeling excited by it. David: Awesome. Yeah, it’s a lot of work, but I think the 1,000-word a day model works pretty well. Ross: Cool. I think once I start writing, I’m pretty good at keeping going. It’s actually just starting that seems to be the big thing for me. But once I get started, I often write too much, and then have to take stuff out. But I think that’s probably how it’s going to go for me. David: Yeah, that’s how we all start. We create really bad first drafts. So I wouldn’t fear that too much. And speaking of which, are there any books you’ve read recently or in the past that have really impacted your thinking or approach to your career? Ross: I don’t really do as much reading as I should do, to be honest. Most of the reading that I’ve done has just been on blogs and stuff and listening to a lot of podcasts. What have I read lately? I read a book by…I’m trying to think how to pronounce his name, Jeff Leisawitz called No F*ing Around (get it on Amazon US or Amazon Canada). And it was like a really small pocket-size book. And it’s more just motivation and inspirational short…not quite stories, but really short little sections about creativity and making a living as a creative person. So I’d definitely say that his book’s worth checking out. It’s really short. I read it on a 45-minute flight to London. So you can read it in one go. And Jesse Cannon’s book is probably the last kind of big music industry book that I’ve read. 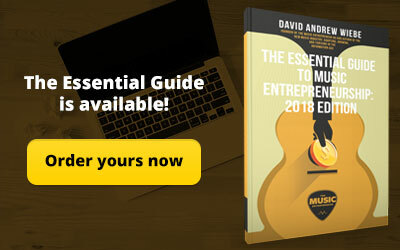 Get More Fans: The DIY Guide To The Music Business, I think is the full name. But it was excellent. It’s the one that I recommend to everyone if anyone ever asks me for a music industry book because it’s pretty comprehensive. 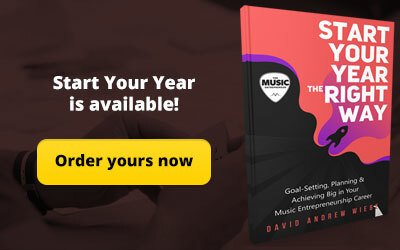 It’s a long one, it’s over 700 pages, but it answers pretty much all the questions that you would have for getting started as a musician and making things actually work for you. David: Very cool. And I am planning on reading that as well. We’re just about coming to that time where we need to wrap up, but is there anything else I should have asked? Ross: No, I think you’ve done a pretty awesome job. I think we covered some of the big points. No, I don’t think there’s anything else you should have asked, unless you feel like there’s anything else you should have asked. David: No, I think that was a great conversation. So where can people find you online? And is there anything else you want to plug? Ross: Best place to find me is my website, which is electrickiwi.co.uk, that’s C-O-dot-U-K.
I’m on Twitter, most of the time. My name on there is electrickiwi, same for Instagram, also electrickiwi. And Facebook is Electric Kiwi Design. David: Awesome. Thanks so much for joining me today, Ross, and thank you for your generosity.